Buying an apartment meant I was supposed to save money and instead of travelling by plane, I just took a train and played tourist in my own country. 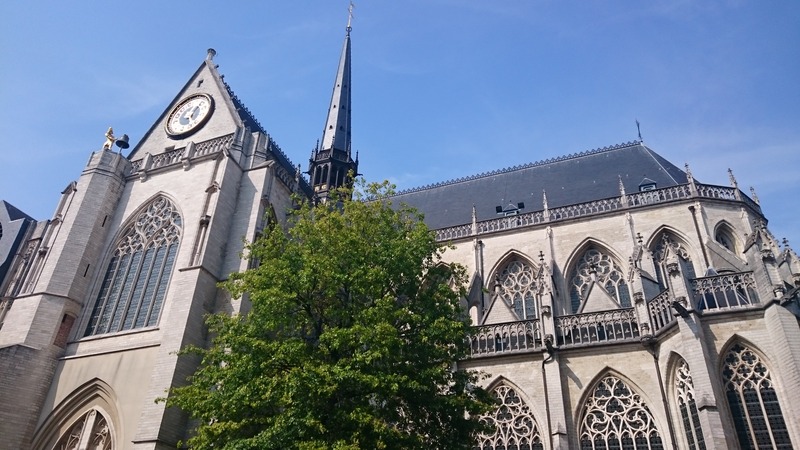 My Dutch friend Dor lived in Leuven last year and offered to be my guide in her town so after a 15 minute train ride from Brussels, there I was in a not so very well-known big city in Belgium. My first stop was the Town Hall. It’s obviously a beautiful landmark building you can’t miss since it’s right on the city’s main square. 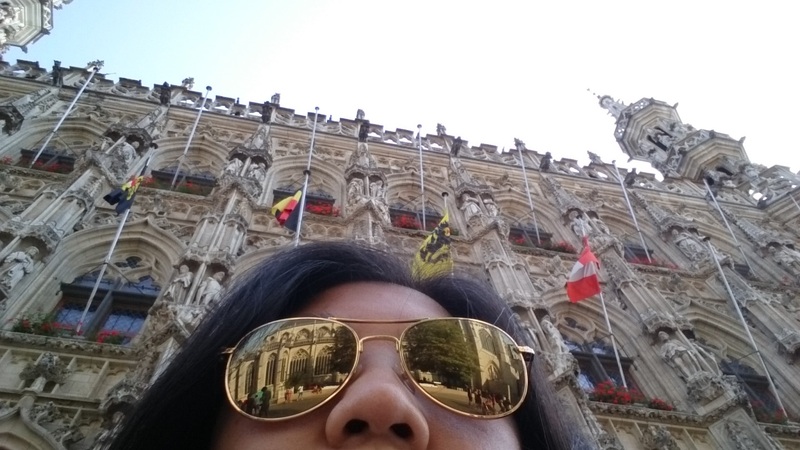 And as you notice in the reflection of my shades, you can see the monumental Saint Peter’s Church right across the Town Hall. 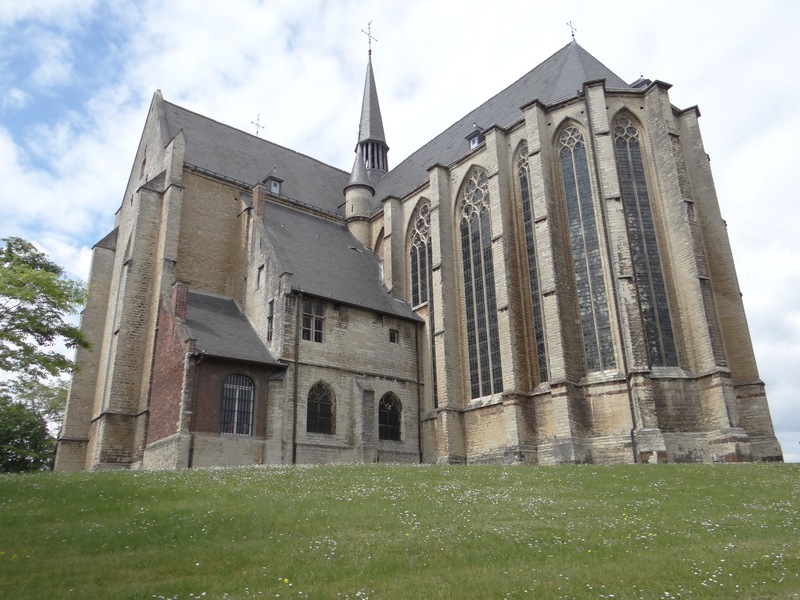 Another church I was impressed by was the Saint Kwintens that’s located right in front of Dor’s old apartment. The Groot Begijnhof of Leuven is one of the largest remaining beguinages in the Low Countries and a really impressive location for a stroll. It is a well preserved and completely restored historical quarter that stretches on both sides of the river Dijle which splits into 2 canals and thus forming an island. 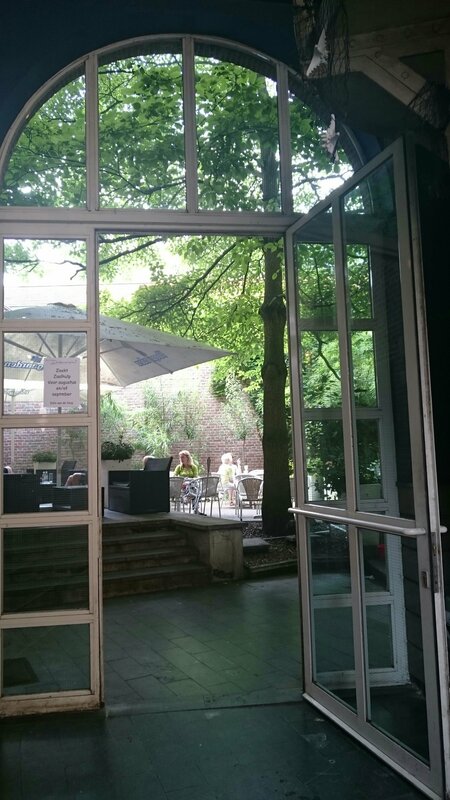 We then went to have a drink at “De Blauwe Schuit”, a pub with a lovely terrace perfect for whenever the temperature’s unexpectedly high in this country. And I finished my trip by paying my respects to the best-known Belgian priest, Father Damien, at Saint Anthony’s chapel. There are a lot more places to explore in Belgium so stay tuned for the next post.